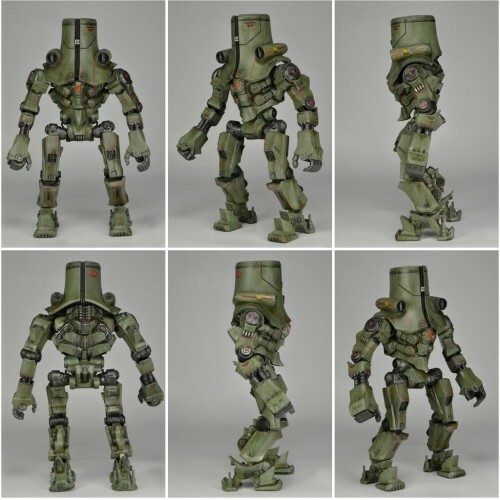 Most fans of Pacific Rim and NECA’s toy line of said movie know the story – when NECA was developing their Pacific Rim line, Walmart at one point expressed interest in it, which resulted in some cost-cutting measures to keep the price point down to presumably make it easier for Walmart to sell the line in stores. But that was only the case for the first two waves. Now, with wave three, NECA has promised the same quality seen in their other figure lines. And so it’s with cautious excitement I present these paintmaster pics of fan favorite Cherno Alpha, posted on Twitter by NECA yesterday. Personally I can’t wait to get this thing in my hands. …Didn't exactly pan out that way did it?